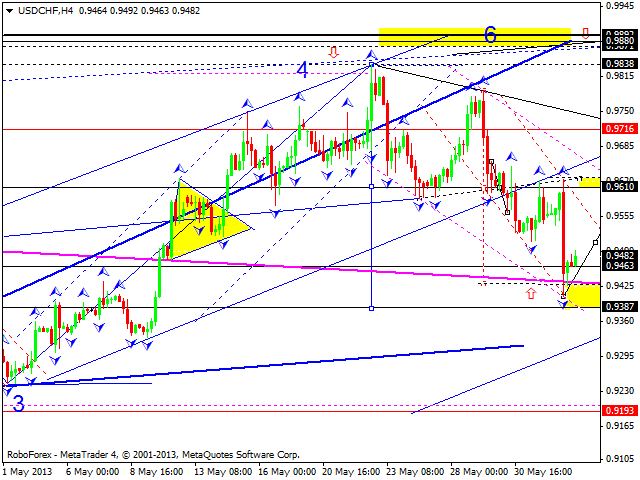 Euro completed another structure of its correction. 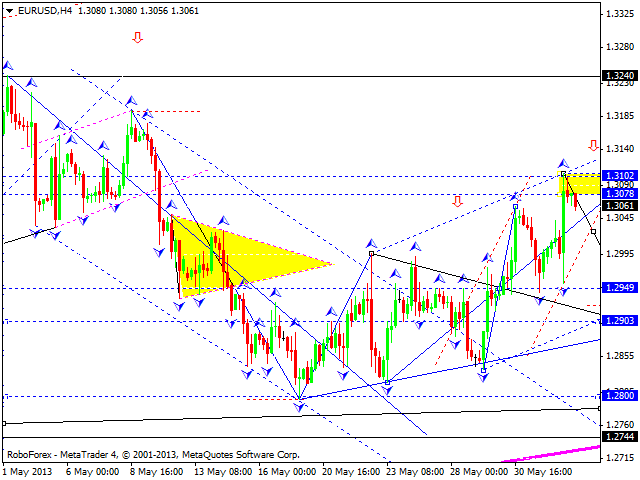 We think, today the price may return to the level of 1.2950. The structure of this descending movement will help to define the future scenario. The main scenario implies that the pair may continue moving downwards. However, an alternative one suggests that the price may form another ascending structure to reach the target at 1.3130. Pound completed its correctional wave by extending it twice as much as it had been. 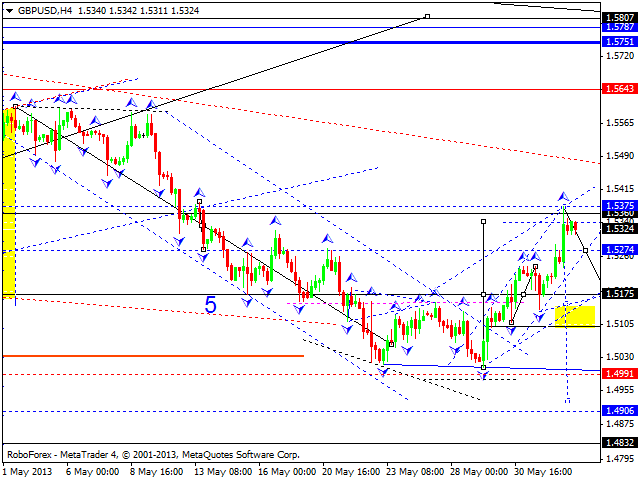 We think, today the price may return to the level of 1.5170 (at least) and then return to the level of 1.5270. 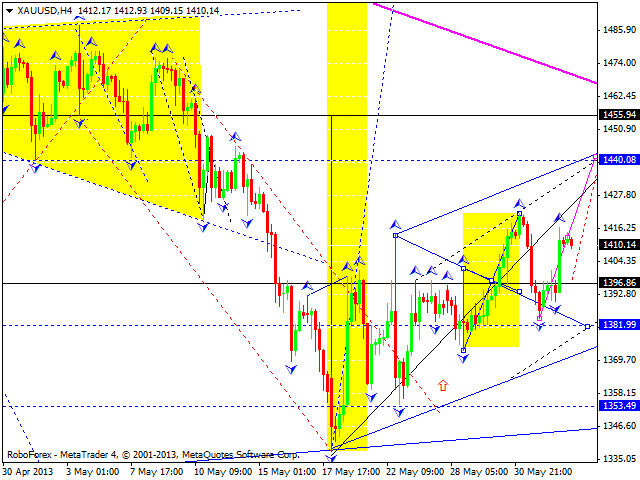 Later, in our opinion, the market, while deciding where to move further, may form triangle pattern. Franc reached its local target; the market is forming a descending correction. We think, today the price may return to the level of 0.9610 (at least) and then complete the correction by forming another descending structure (as the fifth wave of the correction) and reaching the target at 0.9390. 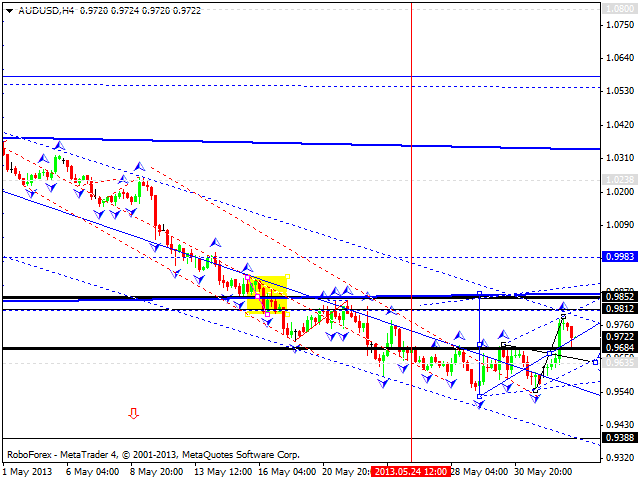 Later, in our opinion, the pair may continue the up-trend towards the target at 0.9880. 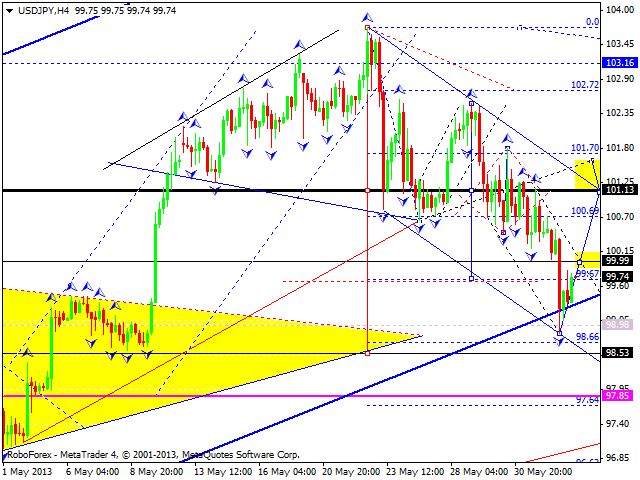 The USD/JPY currency pair reached its local target; it is expected to form a five-wave correction. We think, today the price may form the fourth wave of this correction with the target at 101.10 (at least) and then finish the correction by moving downwards and reaching the level of 98.55. Later, in our opinion, the pair may start grow up and return to the level of 101. Australian Dollar completed its correctional structure and reached a local target. We think, today the price may return to the level of 0.9640 and ten complete this correction by reaching the target at 0.9810. Later, in our opinion, the pair may start a new descending wave to continue the trend. Gold is still forming the third ascending wave; right now, it is consolidating in the middle of another ascending structure. We think, today the price may continue moving upwards to reach the level of 1440, fall down towards the level of 1400, and then for another ascending structure to reach the target at 1455.